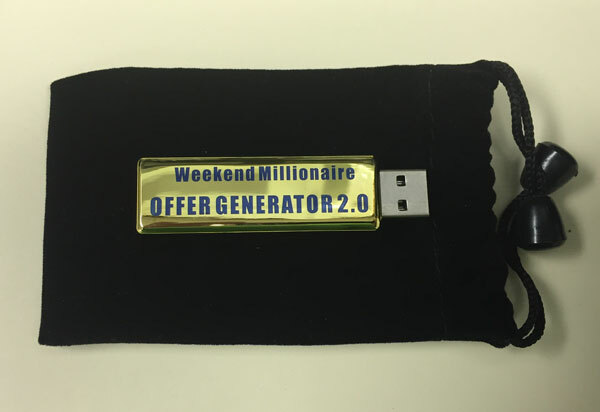 Does the idea of becoming a Weekend Millionaire® intrigue you? Are you skeptical about becoming rich? There are hundreds, maybe even thousands, of programs and materials on how to get rich. Many of them promise a lot but deliver very little. The difference in this program is that the ideas and concepts you’ll learn are simple, realistic, and doable, and they work. There are no gimmicks, tricks, or attention-getting publicity stunts designed to mislead you into thinking you’ll get rich quick. And best of all, you’ll learn from two men who’ve done it – and they’ll teach you every step they took. In The Weekend Millionaire’s Real Estate Investing Program: How to Get Rich in Your Spare Time, you’ll learn that you don’t have to quit your day job to get started and be successful in real estate. 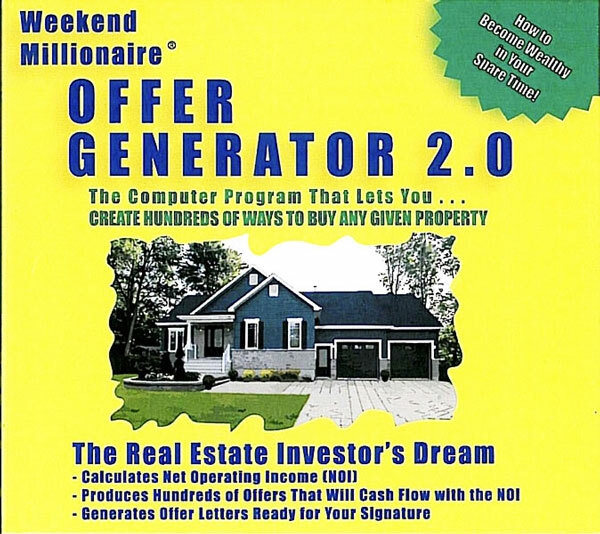 The Weekend Millionaire’s Real Estate Investing Program is a step-by-step guide that shows you how to target a possible real estate property and analyze its true value to get the absolute most out of your investment, whether you plan to rent or sell. This program gives you a long-term strategy, based on sound market principles, to leverage the properties you buy and develop to create a substantial cash flow without major capital investment. 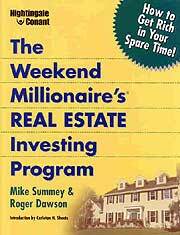 The Weekend Millionaire’s Real Estate Investing Program is filled with practical ideas that work. In one of the most complete products on real estate investing you will find anywhere, successful real estate investors Mike Summey and Roger Dawson take the potentially complex topic of real estate investing and turn it into a simple, easy-to-understand process that shows you how to build wealth. Mike and Roger both have proven track records when it comes to real estate wealth building and show you how you can create a game plan for success over the process of eight weekends.